Valencia, CA; July 24, 2018: On July 29, 2018, The National Aeronautics Space Agency will celebrate its 60th Anniversary as an independent, non-military government agency. 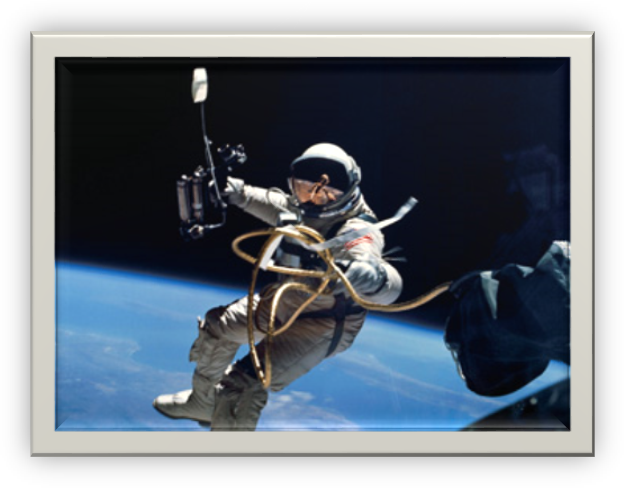 Ironically, Cicoil will also be celebrating its 60th year as a flat cable assembly supplier to NASA on numerous manned and unmanned Space Missions as well. However, Cicoil’s history with the US Space Program began with NASA’s predecessor, The US National Advisory Committee for Aeronautics (NACA). With the start of the Space Race between the USA and the Soviet Union in 1955, NACA began to put together plans to create Project Mercury, with the prime objective of getting an American into Earth’s orbit as soon as possible. If the Mercury Program was to get a man into Orbit outside of the Earth’s atmosphere, NACA would need a lightweight, Mission Critical, bio-instrumentation harness that could easily be attached to the undergarments worn by each of the Astronauts. The bio-harness would need to continuously monitor vital signs, such as blood pressure, respiration, body temperature, and pulse rate of the Astronaut during flight, orbit and reentry. Unfortunately, this task was considered almost impossible due to the difficulties of working with stiff and bulky round cable products that were not capable of providing a functional and reliable solution. Just like they did while developing the Ultra-Flex IDC Flat Ribbon Cable for IBM and the Mainframe Computer Industry, Cicoil’s engineers figured out a way to separately encase shielded signal pairs and different AWG size wires within the same thin flat cable, while at the same time, precisely controlling the spacing between each. By creating this durable cable package, electronic interference was eliminated, and the fully terminated harness provided uninterrupted signal integrity during the harsh rigors of Space Flight. On July 29, 1958, President Dwight D. Eisenhower established the National Aeronautics Space Agency (NASA) with a civilian agency encouraging non-aggressive applications in Space Science. The National Aeronautics and Space Act was passed, thus dissolving NASA’s predecessor, the National Advisory Committee for Aeronautics. NASA would become fully operational on October 1, 1958. Thanks to IBM and NACA, a working relationship between Cicoil and NASA would continue in pursuit of Space travel and live on together over the next 60 years. Cicoil’s Flat Bio-Harnesses were there to help Astronaut Alan Shepherd (Freedom 7 Mercury) to become the first American to travel into Space, John Glenn (Mercury-Atlas 6) to become the first American to orbit the Earth, Edward White (Gemini 4) to be the First American to Walk in Space, Neil Armstrong (Apollo 11) to take his historical “First Step” on the Surface of the Moon and Buzz Aldrin (Apollo 11) to take his infamous Second Walk on the Moon. The flawless operational performance of Cicoil’s Bio-medical Instrumentation and Telemetry Harness designs were, in NASA’s words, “Vital to the successful achievement” of these history-making flights. In addition to every Apollo Space Flight, Cicoil has manufactured cable assemblies for the Mercury and Gemini Space missions, Skylab, Mercury Voyager, The Space Shuttle, Tri-ATHLETE Lunar Vehicle, The Mars Rover; and today are utilized on Space Transport Rockets, Satellites, Probes and the International Space Station. If you would like to learn how Cicoil developed the First IDC Ribbon Cable, helped put a Man on the Moon, and find out more about our Innovative Flat Cable Technology, please contact our office at 661-295-1295 to discuss your application or to set up an on-site visit to your location. Cicoil has been a leader in designing and manufacturing high performance cable assemblies for over sixty years. The company's Patented Flexx-Sil™ Flat Cable Technology provides high flexibility, extremely long life, and they can withstand temperature extremes from -65 degrees to +260 degrees Celsius. Cicoil's flat cables are used in thousands of demanding applications; including aircraft fuel control cells, semiconductor automation, and the Space Shuttle. Cicoil designs and manufactures its Flexx-Sil™ jacketed cables and cable assemblies in an automated facility in Valencia, California. Cicoil's quality assurance system is certified to the ISO 9001 (AS9100) standard. Visit www.cicoil.com for more information, or call 661-295-1295 to speak to an application engineer.